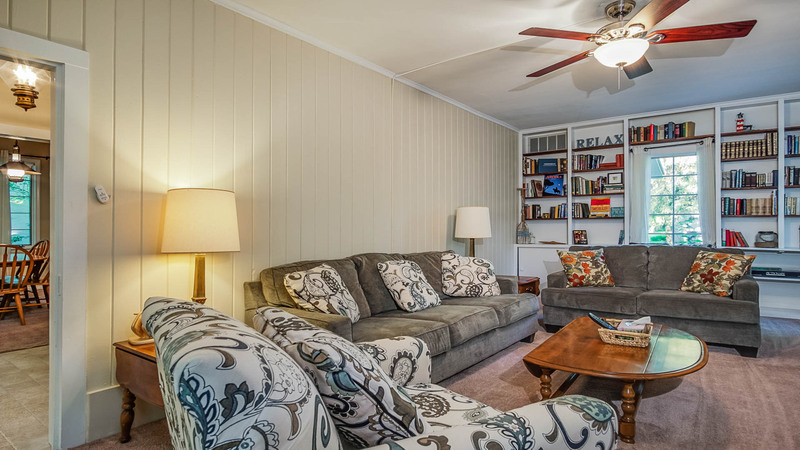 A reading nook in the living room at By the Beach. By the Beach is walking distance from the lakeshore. 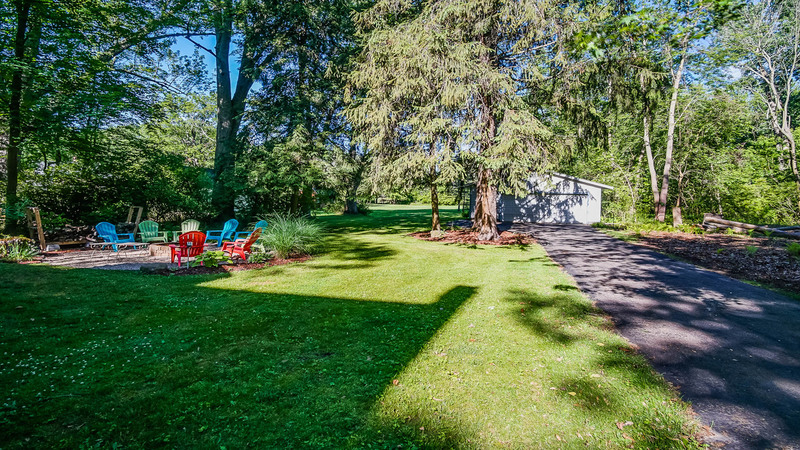 Catch views of Lake Michigan from the spacious front deck. 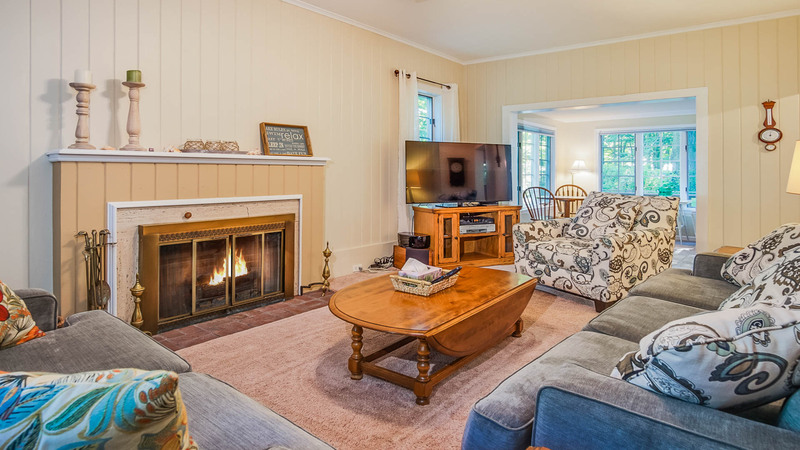 The comfortable living area features a wood-burning fireplace. 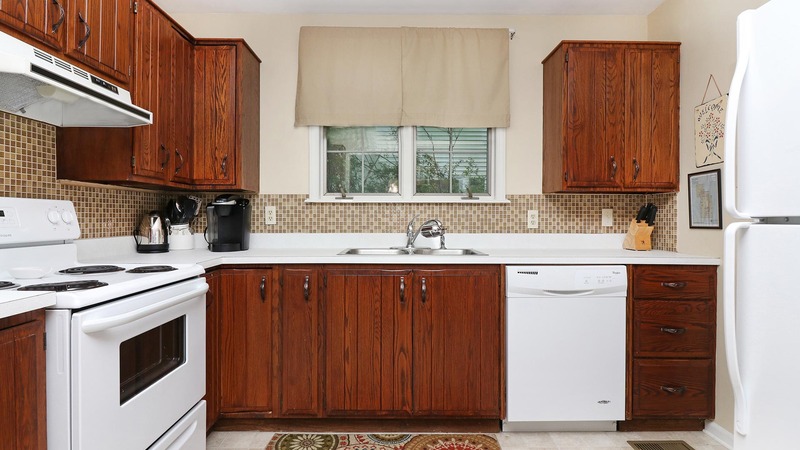 The kitchen has rich wood cabinetry. 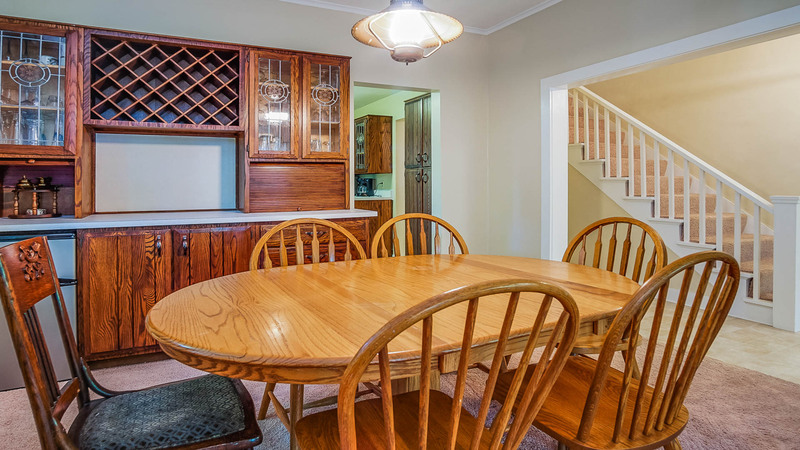 The dining area with seating for eight and a bar. The vanity attached to a full bathroom w/ stand-in shower. 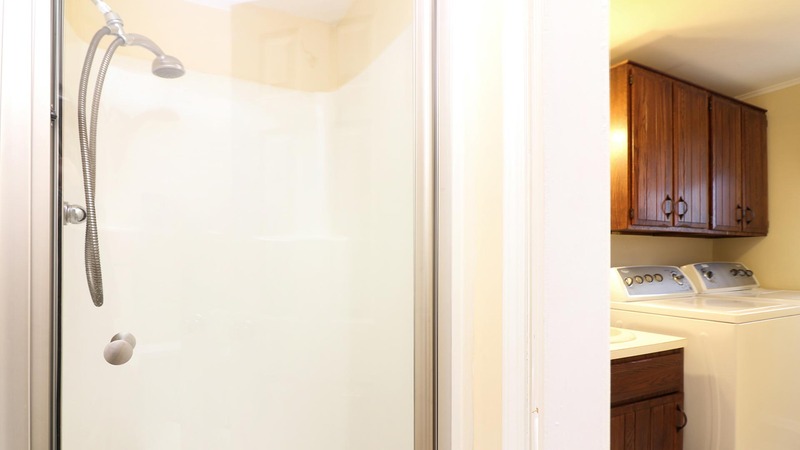 Stand-in shower in the main level bathroom. This bedroom has a king-sized bed. One guest bedroom has a daybed. 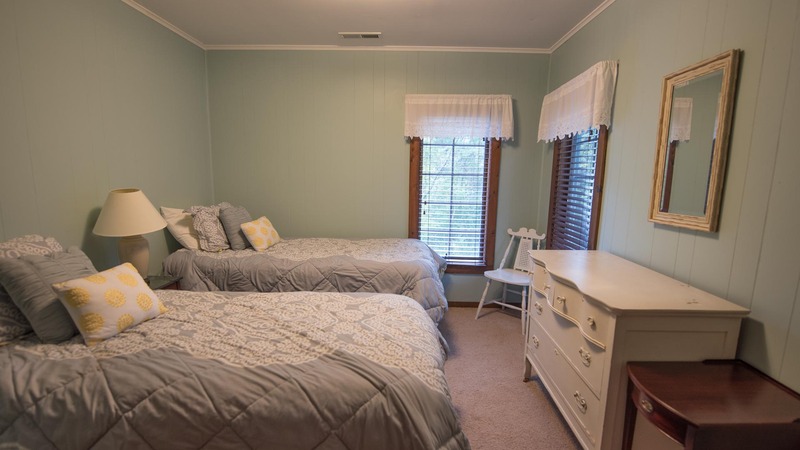 Another guest bedroom with two twins. 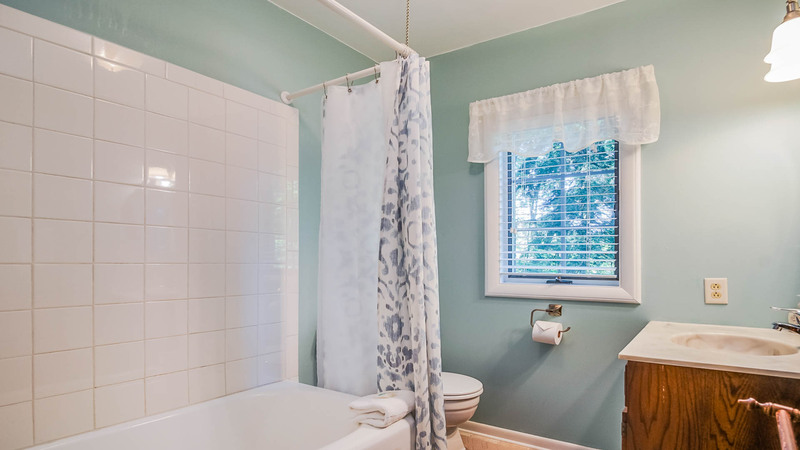 The shared full bathroom upstairs includes a tub/shower. Another guest bedroom with combined king. Back downstairs, access one of the spacious decks. The large backyard is perfect for yard games. Gather around the fire pit for a summer bonfire. Driveway to By The Beach. Precisely as its name implies, By the Beach is close to some great Lake Michigan beaches. Douglas Beach is just a quick walk away, and famous Oval Beach is a 5-minute drive away. 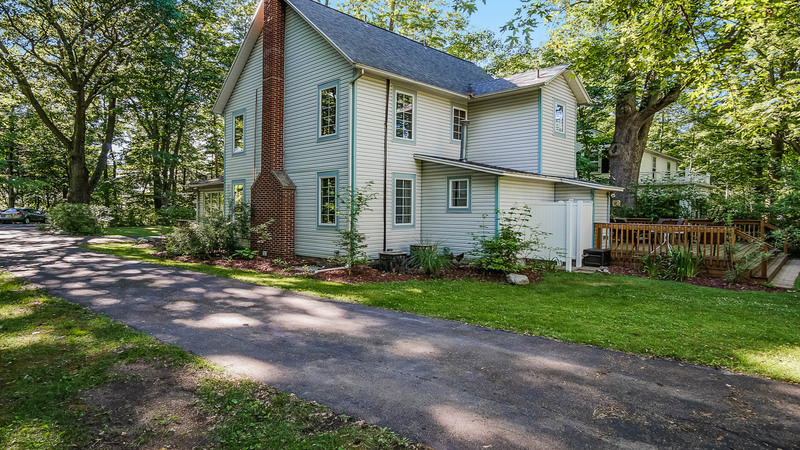 Hear gentle echoes of the lake and catch glimpses of the water and sunset from the home's front porch. 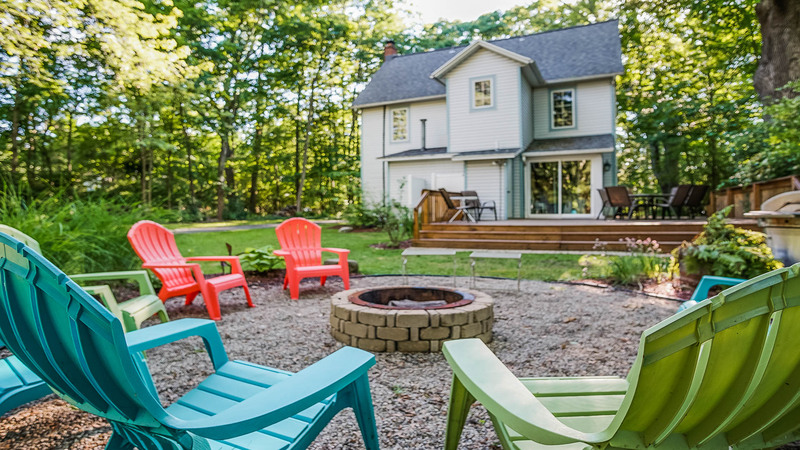 Outdoor entertainment is a cinch at By the Beach, with two large decks, ample outdoor seating, and a vast yard perfect for lawn games. Grill out on the back deck, walk to Douglas Beach to catch the sunset over the lake, and then gather around the fire pit for an evening bonfire. When it's time to wind down, By the Beach's bright and warm decor welcomes you. Hang out around the living area's wood fireplace. 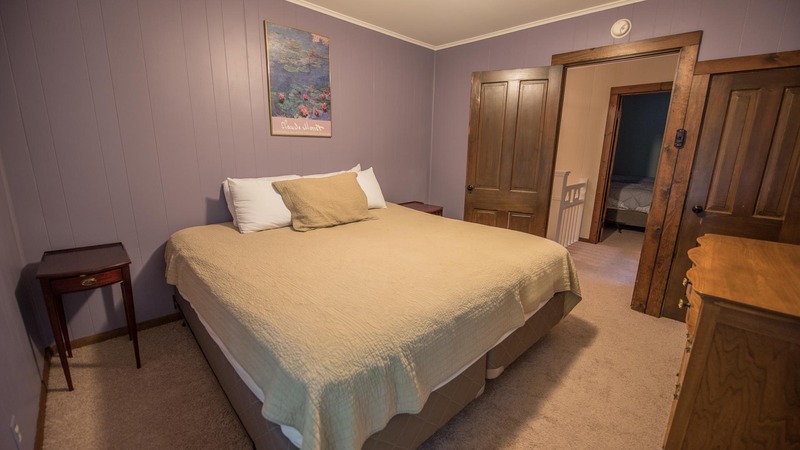 Then retire to one of the four comfortable bedrooms upstairs.